Digital Marketing is the umbrella that covers any digital technology services whereby the "Brand Image" & "Brand Recognition" of a product / service is created on Internet. Almost everyone has their Facebook and twitter account. When you use these social medias to create a niche for a company product and service on a professional platform that amounts to digital marketing! Sounds interesting? Do you wish to make a career in what you love? An interesting strategy, our digital marketing course in Kolkata aims to do this and much more! Understand what makes the competitors' sites tick and how to get ahead of them. How to create effective Email Content? How to create an email list? On successful completion of the modules mentioned as above, the students will be assigned a Digital Marketing project. Students will implement their newly gained knowledge under the guidance of a senior professional of Karmick Solutions Pvt. Ltd. Digital Marketing Team. On successful completion of the project, selected students (based on their performance) will get a 1 week on-job experience where they will be able to work alongside the Digital Marketing team in Karmick Solutions Pvt. Ltd.
On completion of the full course, and successful execution of the project work, a training & project completion certificate will be provided to the students by Karmick Solutions Pvt Ltd.
Onpage and Offpage Seo trains you in the SEO tactics for ranking of client's company's page along with perfect analysis of competitor site. Create the desired Brand Image and Brand Recognition with Social Media Optimization. Be Online to be Visible Everywhere! An internet marketing technique, the client makes money, every time a buyer clicks on the ad posted. PPC is one of the popular search engine advertising formats. 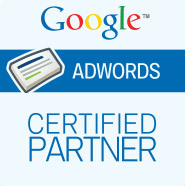 Through Google Adwords you can promote your products locally to attract customers from a wider section of the society. Reach millions of customers spread across the globe with Microsoft (Bing) adCenter. Simple, easy and hassle free, these ads help you to make more profit. Track, edit, revise ad budgets and schedules, receive push notifications and create ads through the Facebook Ad Management. You have to be 12th pass. No. It is not at all necessary to have a technical background. 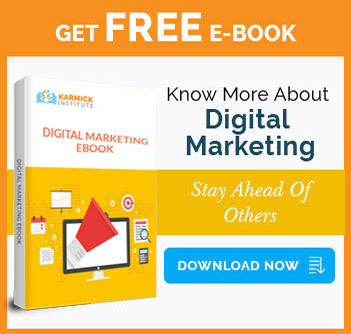 Why should I choose Karmick Institute for digital marketing course? We teach digital marketing from scratch and cover all latest topics of this course so that a student doesn’t feel out of place in his/her career. One-to-one attention is given to every student for better understanding. Our fees is much less compared to the other institutes of Kolkata. Classes are also held on weekends for the convenience of working professionals and students. Currently, digital marketing is the most preferred way of promoting a company’s products or service and building its brand awareness. Hence, there is a growing demand for digital marketers in every industry. By learning this course you will be exposed to multiple job options and can create a stable career if you continuously upgrade your skills and knowledge. .Will there be any practical training? Will I be helped for the Google and Facebook certification? Yes. After the completion of the course, your trainers will prepare you for Google and Facebook certification. Later you can register for the exams and answer them on your own. What should I do if I have any problems/doubts during the course? If you face any problems regarding the subject you can inform your counsellor or ask your trainer about it anytime during the class. Which are the industries I can build a career in as a digital marketer? IT industry has vast opportunities for digital marketers. Nowadays, there is demand for digital marketers almost in every industry which seeks strong online presence. You have to visit us at the address mentioned in the Contact Us page. Other details will be shared in person depending to your requirements. Yes, you will get a valid certificate after the successful completion of the digital marketing course. We guarantee 100% placement assistance. I was a student of PHP at Karmick Institute. I have completed the course satisfactorily. The course was designed properly for a fresher and non- technical students like me. The classes were taken by experienced Programmers. Classes were scheduled at convenient timing for the students. I am satisfied completely with this course and the placement opportunities which they offered.Therefore I would suggest other students also to opt for Karmick Institute for pursuing their career objectives.